Discussion in 'Works In Progress' started by florianalexandru05, Jan 23, 2016. Thanks, I was optimization and cleaning my map a bit, I think by tomorrow I might have the video done. Then I'd just have to make the final steps in the pack, the submission will follow. I made some particles today. I added falling leaves, leaves blowing in the wind, dust, pollen and moving clouds. Makes the wind more believable. So I wasn't able to make the video today, the map is big and loaded and its responding really slow on my system. I did hoover make some more last minute stuff, a few tiles that I took with my phone camera and remade in substance and some stalk plants. Overall I think this is how my map is gonna look. Now it doesn't look empty anymore. My big map in all its entirety! So I'm quickly seeing up a fall version and winter version of my terrain and that's it that's the last thing I want to do. Making a fast small size terrain. A fall version of your terrain would be perhaps like a deciduous biome? A frosty version will be interesting to see. This grabbed my attention since it's absurdly welldone. I wonder if it would work on voxelized terrain or if I could use the components for a voxelized terrain project. I'm working in Voxelfarm at the moment. Yep, for sure, I'm just making a small terrain this time in a new scene, the snow version will be even smaller as I want to release this as soon as possible. Talking about snow I heard Lars has added a snow shader to the CTI pack as an update so I'm also waiting to get that soon to make my snow version. You could do that to make sure it works with voxel terrain. Oh and btw thank you! As for updates I have been taking some freelance work for a bit also life happens but I'm still working on it. Good luck with that, I'd like to know if it works as well. : ) Maybe you would like to share your wips with me if it won't be a bother. Feel free to do so I like looking at other people's progress. So almost done with the fall map. Decided on the lighting, now it looks close to battlefield. Mister-D and PatysTy like this. Great work! I have just added to light pack to my list of art packages to try out. If it works out well for my use I will certainly be purchasing a copy of the full pack. Looks like one of the best made environment packs out there right now. Cheers! Thanks man, really appreciate it! I'm trying my best to make it worth it's price. Also, I have been learning to make shaders so I made a basic snow shader. I might add the grass covered rocks to the fall map. Ahh no, I'm only using shader forge for this simple thing I want. I would encourage people to use better shaders or what they prefer but it works just fin in all version of unity if anyone wants to use it. It's really simple right now but I'll try to to improve it. Doesn't shader graph only work with LW and HD? ah shader forge isnt so good, id recommend using shadergraph. ive been using it in hdrp and its very easy and gives good results. i dont think its lw and hd only, but i could be wrong. just checked and your right, only lw and hdrp are supported, sorry, didnt know this. Hahaha, it's ok, I wanted to make shaders in shader graph but then I found out it's only for LW and HD. Since this is just a art pack I intend to keep everything working with as little custom stuff as possible and mostly with the standard unity stuff. If people want they can import their stuff in HD, I made the ao/gloss and metalness in a merged map so it works in HD, LW and the standard shader, so people can just convert the material themselves or just make a material and drag the textures in. I'm making these shades work the same way so I won't have to make any new textures. Amplify shader looks awesome, maybe I will buy it in the future but I doubt it because I don't plan on making shaders since unity comes with everything I need out of the box. Btw what do you mean by normal rendering? You mean you made your shaders and you use them for better rendering or did you improve the normal maps? by normal i meant the standard shading setup. amplify gives better and cleaner result than shaderforge(shaderforge uses some custom model). anyway, great improvement over the last few posts, i guess its finished? Yeah I noticed shader forge shader needs some tweaking and a bit of work to get what you want but it does what I want so for now it's fine. I'll make better stuff with amplify shader in the future. Sounds really interesting, would like to see your shaders. Man, for some reason every time I tried going on a thread of yours it says user not found. Kan you show me more of your stuff pls? The grass cover makes my nature look so much nicer!! Super happy!! I've been messing around with the pro pack, it's a very tight knit but quality pack. A couple things that I would suggest. Your two grasses the colour is a bit too different, the second is too saturated and they look odd together. I've modified the colours in Unity's grass editor and I feel it looks better when they both have slightly closer colour. Second, I would recommend making a grass texture that would work at the base of trees. Grass tends to not grow as thick at the base of trees (see link ), and having some form of leaves that can be painted as a texture or models. My experience most nature packages really ignore the ground and small deadfall such as leaves, tree needles, rocks and sticks. I think it would be a great area to focus with your assets. I would love to have one or two more tree models as well. One tree model, one bush model, two grass textures and the cliffs at a $30 price point is a bit steep IMHO. These other assets you are working on now are they going to be in a different pack, or will you be updating the pro pack? In terms of the grass textures, the base is a bit too dark and they don't blend with the ground texture. The best grass models out there blend almost seamlessly with the ground textures so you can't tell where the grass model ends and the ground texture begins (see link ). Positives are probably the best cliff and rock models I have seen. What you have in the pack is very good quality. There's a lot of great work going on here and with your attention to detail I see this pack becoming very high quality. Man, for some reason every time I tried going on a thread of yours it says user not found. Hei, thank you very much for the review! You are talking strictly about the version you bought not the updates I'm doing now right? Well, you're right about the content/price/quality. I was kinda putting the free and the pro versions together so the price for the pack is 30$, perhaps 25 would've been more appropriate but I plant to update it with all this new content and raise the price up to 45/50$, not sure yet but I'll see. The content on this thread is for updating the same pack yes. I have more than 100 trees and plants now and more than 2 grass versions + 2 shaders, particles, clouds and leaves, and all the trees work with wind and the terrain engine, I'm using CTI shader. There are 3 maps, a big map, a medium fall map, and a small snow map. Also I added more models and splats and I improved the old textures a bit to look better in pbr. The old grass model wasn't very good, it was my first attempt at making grass but I made proper grass now, I hope. I think it should blend with the terrain almost perfect, I did add a lot of ao in my videos and screenshots. Regarding grass and the way people spam stuff over the terrain, yeah I don't really like that myself. And again thanks for all the tips I'll take note of that! Making grass is hard so on my next pack I'll do better, I'm about done with this one, will make one more small snow scene and done. Anyway compared to the old grass this is better right? I turned off all the pp and ao. Yeah, I don't get why, maybe I have a problem with your user, weird. Oh yeah, I can showw you in a pm. Made most of the snow texture, combine with the snow shader it looks good. I also think I used the wrong normal on the ground for this test. Started to make the small snow biome. Sounds like this should end up being worth $50, it really helps that you have focused on quality over quantity. There's lots of packs out there for foliage that seem to act like more is better. I am excited to try this out once the updates hit! I am not sure actually, I don't have a lot of experience with the asset store myself. I will let you know when the update goes through! And I will absolutely give you a rating once I get some time to work with the updated version. I know that ratings really help asset store authors and make an effort to review anything I download! When do you think you'll be submitting the update? Soon I hope! I am looking forward to it! The grass does look better in my opinion, but I am sure other people may prefer the other option. I am excited to see how the updates turn out and what I can make with them! Thanks, man, I wish I would do so much more but sometimes I have to set a threshold or I end up working on something too much. Hahah...! I want to submit it soon, I keep saying the same thing every month but... this month I hope, I started makinng the small winter map, this one will be fast and lazy because the huge map is more than enough. Evidently, I will make the ground snow more think, this is just a starting layout. Had to make the current prefabs into new prefabs before I can finish the map, also I forgot to mention I'll add some spruce and fir billboard trees for far away distances... like I said I stopped with the modeling here, these are just extra stuff I'm adding. PatysTy, EdenIndie and Zimnel like this. I forgot I had to add the snow shader on all my prefabs so it took me a while to make the snow version, spent today to do that. EdenIndie and PatysTy like this. I really like the look of that tree! Looks very fitting for a creepy environment. Is the big map in Rocky Hills Environment - Pro Pack or all this a new pack? I'll take a look more properly when I have some time but I saw some of it. I would say you need more trees, which is what my update has plenty of! : ) Thanks for sharing, I'm really happy to see my assets in someone's project! It's going to be in the "Rocky Hills Environment - Pro Pack" as a update. The current pack is lacking a bit so that's why I'm updating it. All this is going to be a update. Again, thanks for sharing, I like it when people share their work with me! Anyway in other news think tomorrow I might finish the snow map. Upload pack preparing will be underway soon. Anytime! Also, just noticed while optimizing my map none of your materials are using GPU instancing in the pro pack. I am not sure if this was intentional or not, but I managed to cut down on draw calls (especially on cliffs) using instancing. 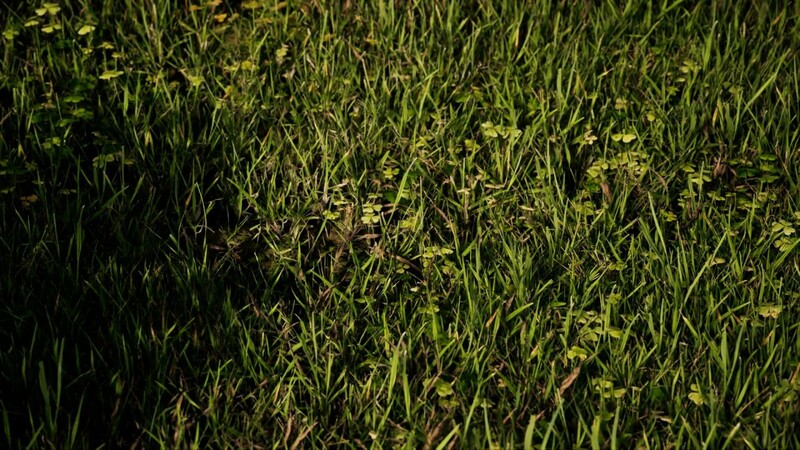 Edit: Also, for the grass in the current pack do you have just textures to be used with Unity's grass system, or do you have prefab models of grass? For the grass, I have custom prefab models with CTI shader. and I also made terrain grass textures from those because tbh, the Cti shaders are pretty expensive for grass and I doubt most people are even going to use it. I tried to make the terrain grass match the mesh grass as much as possible so I hope people will be happy. My map is done but I think I might want to spend a bit more time on it, it doesn't look very appealing and kinda empty. Anyway aside from that, news, the pack is done! Also, I have snow particles! PatysTy, Flurgle and EdenIndie like this. I cant wait try this update to be honest! It looks awesome! Haha thanks! I have so many tree versions that I think I'll go crazy going through all of them before upload! There are only 2/3 tree species but they have more than 5 variations and season versions for each variation. Btw here's a look at the terrain grass textures vs the mesh ones. The single textures are for the terrain and it's only a simple diffuse while the atlas is for the meshes grass and plants *with ao/gloss/normals and translucency. On another note, my snow shader isn't amazing, kinda sad attempt tbh so I had to make snow versions of some textures. Hei guys, I took some images as promotional material. This is my final lighting. Working on preparing it for the store! Looks great! Any ETA on the release? I'm looking forward to trying out the winter assets! Let's say I got to upload it in 4,5 days from now. After this, it takes 2 weeks (more or less) for Unity to approve my pack. This is a big pack so from this point it depends on them, assuming I won't get rejected for some reason, that has happened the first time I uploaded on the store. I assume it's gonna be on the store sometimes in March. Can't really say for sure an exact date but anyway I will make the announcement when I have submitted and when it got approved! Btw thanks, I'm just making my promotional material for the store now and checking everything is in order. Gotta make sure everything is fine so I won't get rejected. If I do I'll have to fix and re-upload it again, Unity has high standards with us publishers. Good news, have made all my promotional material, except one final video soon. Also updated my first map, the tiny one. Reiner and PatysTy like this. The fall and winter maps look really interesting! I’m excited to check the updates out! Just went through whole thread. Great job mate. I want to make environments packs in future and your work is really motivating! Keep it up.